Latgale Planning Region invites local municipalities from Latgale region and Lithuania to the international training – experience exchange to promote cooperation between municipalities in tourism field. Visit will take place in Anykščiai, Lithuania on June 26, 2018. The aim of the international training – experience exchange visit is to strengthen interregional cooperation between municipalities of Latvia and Lithuania. During these activities, participants will discuss how to make improvements in the capacity of employees in tourism-related industries, using LEAN management system, and analyze examples of good practice in tourism field to generate ideas and to collaborate in the future. 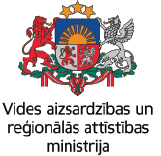 We invite municipalities of Latgale Planning Region and municipalities of Lithuania to delegate a representative to these activities, sending information about the participant (name, surname, phone No. and e-mail) to e-mail: pasts@lpr.gov.lv. The number of participants is limited!